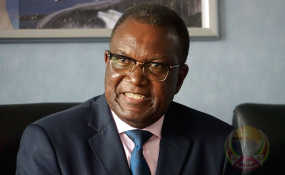 "What this means is that even when there are facilities and enough stocks inland but in bonded form; (because) no payment has been made, there are no releases of the bonded stocks and local fuel companies cannot supply to service stations," he said. "There is enough fuel at NOIC depots in the country, which product can only be accessed after it has been paid for. "Effectively therefore, the quantity of fuel that can be accessed at the service station is a function of the availability of foreign currency available to service the facility. "If people panic and start hoarding fuel, they are actually putting unnecessary pressure on the monetary authorities to look for extra foreign currency so that they can hoard." "It is important to note that there are many competing requirements for foreign currency in the country... the demand for forex is not only for our ministry but for other essential services in government as well."